The Part 2 test for driving instructors is very similar to the standard learner driver test. As with the learner test, at the start you will be required to read a clean and stationary car number plate. The distance 26.5 metres for vehicles with a new-style number plate and 27.5 metres for vehicles with an old-style number plate. Also just as the learner test, the examiner will ask you maintenance ‘Show Me Tell Me‘ questions on your vehicle. You will be asked 5 Show Me Tell Me questions; 3 Show Me questions where you will need to show the examiner how to carry out vehicle checks and 2 Tell Me questions where you will need to explain how you will carry out the vehicle checks. Each Show Me Tell Me questions you get incorrect, you will receive a minor fault. The duration of the ADI Part 2 test lasts longer than a standard learner driver test at around one hour due to more manoeuvres and varying road types. More manoeuvres than the standard L-test will be requested, if not all possible manoeuvres. These will include the driving test manoeuvres, including those on the new driving test; forward bay parking and pulling up on the right. Reverse bay parking is only considered if bay facilities are available at the test centre or a test centre close by. You will also be required to demonstrate independent driving. Independent driving will take approximately 20 minutes and you will be required to follow either road signs or directions from a sat nav. Before you can book the ADI Part 2 test, you must have completed and passed the ADI Part 1 test. If you have a manual licence you can take the test in either a manual or automatic car. You’ll be able to train people in both types of car when you’ve qualified. Take along a adjustable interior rear view mirror for use of the driving examiner. 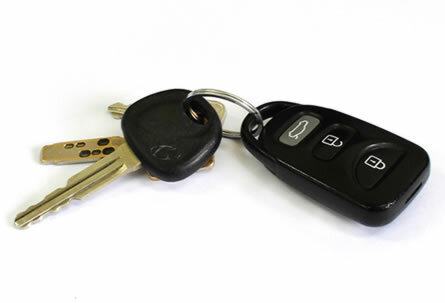 Hire cars are permitted providing it meets with the above rules and is fitted with dual controls. If the above rules are not met, the examiner will terminate the test and you will lose the test fee. you have an automatic licence you must take the test in an automatic car. You’ll only be able to train people in an automatic car when you’ve qualified. You can use a hire car for your test but it must be fitted with dual controls and meets all the other rules. Unlike ADI Part 1, it is advised to obtain the services of a professional trainer for the ADI Part 2 test. The amount of hours required to gain Part 2 test standard varies considerably on each individual and therefore it is often beneficial to not pay for an entire course up-front as this may not be necessary. Instead, consult an independent trainer who can provide an assessment of your ability and base a suitable course upon the outcome of this initial lesson. You may also find that opting for a pay-per-lesson scheme may prove cheaper. Simply reading through the tutorials on the Driving Test Tips web site will go along way to eradicating those bad habits and improving your driving, which in turn, may reduce the amount of tuition required. It is worth noting however, ADI Part 2 training is also preparation for the ADI Part 3 test as any good trainer should know and simply gaining a high proficiency in driving for the Part 2 test is the very least you should expect. Study the Driving Test Tips web site to ensure you use the correct methods for general driving, mirrors, driving routines, observations and the manoeuvres. Put any new skills you have learnt into everyday driving to ensure it becomes second nature. Study the Show Me Tell Me questions to ensure you do not waste one of your possible six minors on something simple. Take an eyesight test to ensure you can read a number plate – 26.5 metres for vehicles with a new-style number plate and 27.5 metres for vehicles with an old-style number plate. Visit the driving test centre where your test is being conducted from and become familiar with the roads leading in and out of the centre. Familiarise yourself with any difficult traffic systems in the area such as roundabouts and junctions. A local driving instructor will be familiar with the driving test routes, more importantly the difficult areas. Knowing all the test routes won’t help you, familiarity with certain challenging areas will. You can also view the ADI driving test routes which are more challenging than the learner driver routes. If you intend on using an ADI trainer, ideally use an independent local ADI trainer who has been recommended. They will likely provide a suitable tailored course based on your skill level, which compared to national courses often proves better financially, plus an improved pass rate. An ORDIT approved trainer means they are following correct training procedures. It does not mean they are better trainers however. Ensure your car is legal, road worthy and clean inside and out. Ensure you take along your driving licence (both parts) and your ADI Part 1 test pass certificate. Arrive at the test centre in good time, around 10 minutes before your test appointment time. The examiner will be friendly, try to relax and chat to the examiner, but remember to concentrate on the road ahead. If you have made a mistake don’t give up – chances are you still may pass. You will be informed of your result once you have returned to the test centre and have turned off the vehicle. If you have passed, you can after 40 hours of Part 3 training become a trainee driving instructor or apply to take the ADI Part 3 test immediately.